Zheng Chaolin's memoirs written in 1945, were republished in China in 1979 as reference material for party historians, and then officially released for privileged categories of officials and researchers in 1986. The article was republished by Gregor Benton in 1996. Zheng spent a total of thirty four years in gaol seven under the Guomindang and for twenty seven under the CCP. His knowledge of the pre-revolutionary history of the CCP and in particular of the thought and life of its founder Chen Duxiu is second to none. We hope the Internet reproduction of his work will assist students of Chinese Communism better to understand Chen Duxiu, the course of the revolution, and the difference between Marxism and Maoism. 1924 was an important year in the history of the CCP. It was the first year of formal cooperation between it and the Guomindang. Early on in 1924 the Guomindang, with the Communist Party’s help, convened the First Reorganization Congress; several Communist Party leaders were elected onto the Guommdang’s Central Executive Committee; the Huangpu (Whampoa) Military Academy was started up; Soviet political and military advisers started work; Guommdang branches in most places came under Communist control; the urban labour movement, which had become passive after the strike of February 7, 1923, livened up again; and Communist activity developed on an unprecedented scale. Even more cadres were needed to carry out Party tasks. To meet the need, the Moscow branch of the CCP dispatched back to China a number of Chinese comrades studying at Moscow’s KUTV They returned in batches; all in all they accounted for more than half the ongmal number of Chinese students at KUTV. Of those who stayed behind, some switched to the Military Academy and others were preparing to return to China after a further six months. The first batch returned before the 1924 summer holidays; the second set out from Moscow during the summer holidays; during and after the summer holidays, right through until the spring of the following year, people tackled back to China in smaller groups of two and three or four and five or even singly. All those who returned in 1924 or in the spring of 1925 took up high office in the Party. Peng Shuzhi sat in on the Central Committee as head of the Propaganda Department and attended all its meetings. Though he hadn’t been elected onto it by the Third Congress, he assumed the same powers as one of its normal members: he interviewed cadres and issued directives even Deng Zhongxia behaved respectfully in his presence, not to mention Zhuang Wengong, Secretary of the Shanghai District Committee. As for Chen Yannian, just a few days after arriving in Shanghai he was sent to Guangzhou to be Secretary of the Southern Regional Committee. Yin Kuan, who had returned before the summer holidays, had earlier gone to Shandong to be Provincial Secretary there. Zhao Shiyan, who had come to China on his own, took charge of the Northern Regional Committee in Beijing. This Committee was nominally under Li Dazhao, but Zhao Shiyan did the actual work. Wang Ruofei didn’t get back until early 1925, whereupon he was quickly appointed as Secretary to the Provincial Committee in Henan. Wang Zekai was sent to Anyuan to lead the Party there. Luo Yinong at first came to Shanghai but later went to Guangzhou and later still went to Beijing to run the Party school and to train cadres; finally, in late 1925 or early 1926, he came back to Shanghai to become Secretary to the Jiangsu-Zhejiang Regional Committee. Chen Qiaonian, who got back in early 1925, helped Zhao Shiyan on the Northern Regional Committee. Ren Bishi, like Peng Shuzhi in the adult Party, sat in on the Central Committee of the Youth League immediately after getting back to China, without having been elected to it. Xue Shilun at first worked as Treasurer and Secretary to the Central Committee in Shanghai, but he was not up to it, so he was sent to Hunan to help Li Weihan; Ren Zuomin took over his old jobs. Zheng Chaolin was appointed Secretary to the Central Committee’s Propaganda Department, where Zhang Bojian, who had gone back from Moscow before the summer holidays, was already working. Many of the other people who returned from Moscow were assigned to the labour movement; later Wang Yifei, Yan Changyi, and others returned to China after having studied military science in Moscow and some of them were assigned to the Party’s Military Committee. The students who returned to China from Moscow in 1924 (including the first half of 1925) were united as one and worked in close concert. They had received a common schooling, and just before returning they had received special training; their views on the theory of the Chinese Revolution and on methods of work were in close accord, as if printed from the same font. Party cadres and members from before 1924 looked askance on us and dubbed us the “Moscow people”. At first sight this was a neutral appellation, but secretly it reflected a mood of dissatisfaction among cadres and comrades from before 1924, who thought that these people had come to occupy a special position in the Party and formed a virtual clique. There had already been one such virtual clique in the Party-Zhang Guotao’s “National Trade Union group”. Li Longzhi (who later changed his name to Li Lisan), Liu Shaoqi, and Xiang Delong (who later called himself Xiang Ying), all three of whom had worked in the labour movement in the South, didn’t belong to the “National Trade Union group” so they were more prepared to cooperate with the “Moscow people”. Li Weihan, the Provinclal Secretary in Hunan, had returned to China directly from France, without passing through Moscow, but he, too, counted as one of the Moscow people. Zhang Tailei and Qu Qiubai, on the other hand, were not members even though they had been in Moscow. Later, they gradually became hostile to the Moscow people. The “National Trade Union group” and cliques. The former had united around Zhang Guotao and Luo Zhanglong Zhang’s righthand man. It derived its solidarity from personal and work relationships; its solidarity could hardly be said to be grounded in theory or principle. Needless to say, the “workerist” views that Zhang Guotao developed in the early period of the CCP were not entirely without relevance to his group’s coherence. The Moscow group, however, was united mainly on the basis of theory and principle, though at the same time personal relationships also played a role in it. The theory of the Moscow group was called “the theory of national revolution”. In early 1924 – at the earliest in the fourth quarter of 1923 – comrades in the Comintern’s Far Eastern Bureau and leaders of the CCP’s Moscow branch met frequently to discuss the theory of national revolution. I knew about this, though I never attended any of the meetings, nor do I know who did. Naturally, Luo Yinong and Peng Shuzhi attended, but whether anyone else did I don’t know. The outcome of these meetings was the “theory of national revolution”. The content of the theory is set out in Peng Shuzhi’s programmatic essay in New Youth Quarterly no.4, which was specially devoted to “national revolution”, and in the political resolution passed by the Fourth Congress and drafted by the Comintern representative Voitinsky. The two documents are the same. That’s not surprising, for the “theory of national revolution” was worked out jointly by leaders of the Comintern’s Far Eastern Bureau and of the Moscow branch; or rather, it was worked out by the Comintern and embraced by the leaders of the Moscow branch. The Communist Party will lead the revolutionary proletariat to struggle against the capitalists and seize political power from the hands of the capitalists, for it is that power that maintains the capitalist state; and it will place that power in the hands of the workers and peasants, just as the Russian Communists did in 1917. I also have a copy of the programme approved by the First Congress, which describes its aim as “to overthrow the bourgeoisie with the revolutionary army of the proletariat and to re-establish the state on the basis of the toiling classes, until class differences are extinguished.” In sum, before and at the first Congress there was no theory – not even a glimmering of one – about first having to complete bourgeois-democratic revolution before starting proletarian-socialist revolution. After the First Congress the question of cooperating with the Guomindang was raised. It was discussed at the Second Congress and again at the West Lake Conference, and the Third Congress decided to join the Guomindang. But it was raised as a tactic, in terms of how can we even more quickly and effectively develop the revolutionary movement and Party forces. But after the decision to cooperate with the Guomindang had been taken and implemented and after the alliance between the Guomindang and Russia, when the Soviets sent advisers to China plus funds and weaponry to help the Guomindang, the old tactical formula was no longer enough and the question had to be reframed in strategic terms: the old line of “Guomindang-Communist cooperation” had to be replaced by one grounded in principle and basic Marxist theory. Thus was born the “theory of national revolution”, with its emphasis on the need to complete bourgeois-democratic revolution before going on to proletarian-socialist revolution. Were there grounds for such a theory? Yes, people cited the theoretical disputes in Russia before the Revolution as a basis for it. But they avoided talking about the actual course of events in 1917, for that showed that the Russians had already carried out the proletarian-socialist revolution even before completing the bourgeois-democratic one, that bourgeois-democratic revolution in Russia was completed as a by-product of proletarian-socialist revolution. The second main argument connected with the “theory of national revolution”, i.e., that the proletariat must strive for leadership, is clearly subsidiary and, from a Marxist point of view, cosmetic. Before the revolution Lenin’s idea that the proletariat must lead Russia’s bourgeois revolution was premised in the belief that Russia’s bourgeoisie had already forfeited its revolutionary role. How could the view that China’s bourgeoisie still had a revolutionary role to play, that it should be richly aided with funds, weaponry, and advisers, and that the Communist Party should even be made to Join the Guomindang as a wing of it-how could this view be reconciled with striving for proletarian hegemony in the revolution? Striving for proletarian hegemony was mere cosmetics, as the comments of senior members of the CCP clearly show. Peng Shuzhi, who imported the theory to China said that hegemony over the revolution “naturally” belonged to the proletariat so there was no need to strive for it; Qu Qiubai exposed this belief of Peng’s in his pamphlet Against Peng Shuzhi-ism. According to Peng there was no bourgeoisie in China, just the ghost of one. When Mao Zedong wrote his Analysis of the Classes in Chinese Society in March 1926, more than a year after the proclamation at the Fourth Congress of the “theory of national revolution”, he didn’t say anything about the proletariat leading China’s other classes. The present version of that article in Mao’s Selected Works says that “the proletariat is the leading force in the revolutionary movement”, but the sentence was added later, when the Selected Works were edited for publication, and cannot be found in the 1926 text. In late 1924 or early 1925, the CCP officially proclaimed “national revolution” as the guiding theory for the entire revolutionary movement. The actual course of the Revolution of 1925 to 1927 showed this theory up as bankrupt. We who had been in Moscow studied this theory before returning home, and we all complied with it: it was the banner behind which we united. That it had been exposed as bankrupt Moscow group. The Moscow group was not tangible but it undeniably existed. The Moscow branch was originally led by three people, Luo Yinong, Peng Shuzhi and Bu Shiqi. In early 1923, Bu Shiqi went back to China, leaving Luo and Peng in charge. After cooperation between the Guomindang and the CCP had been formally implemented, the “theory of national revolution” formally launched, and the order sending comrades back to China formally issued, the Moscow branch decided that Luo Yinong would stay on to continue to lead it and that Peng Shuzhi would go back to China to join the Central Committee of the CCP and at the same time rally and lead the returning cadres, i.e., the so-called Moscow people. Why didn’t Luo go instead of Peng? I don’t know. I was never told the reasons for that decision. In early 1925, not long after the Fourth Congress, Peng Shuzhi fell ill with typhoid fever after editing the Lenin number of the first issue of New Youth Monthly. Luo Yinong, who had just got back from Moscow, implied the dissolution of the came to the Propaganda Department to see us. He was sitting beside Peng’s bed. I happened to be standing there, and some of the things he said attracted my attention. I remember them to this day. The gist of his remarks was that we should form a central force in the Party so that we would be in a position to control the rest of it. The actual situation in the Party at that time was like this. The batch of cadres who had returned to China from the Soviet Union all supported Peng Shuzhi and Luo Yinong. (The exception was Jiang Guangchi, who had opposed Luo and Peng in Moscow; after getting back to China he supported not them but Qu Qiubai, but the rest of the Moscow people opposed Jiang) These cadres now occupied important positions in the Party. As long as they got on well with Chen Duxiu, they could control the feudal lords by using the emperor’s name and so take over the Party’s commanding heights. And that’s more or less what happened. Had Luo and Peng decided on such a plan before going back to China? Obviously not, or Luo would have had no need for his bedside talk with Peng. But the general tendency was there, even in Moscow. It’s worth noting that after Luo had spoken, Peng hummed and hawed and did not come out clearly in support of the proposal; but nor did he come out clearly against it. With the benefit of hindsight, I would judge Luo’s comments as follows. Peng Shuzhi was unlikely to oppose the idea of uniting the Moscow people around Chen Duxiu and using Chen’s name to control the “feudal lords”: of setting up a central force in the CCP to control the rest of it. The reason he didn’t actively support Luo’s proposal was certainly not because he was against it, and even less so because he supported the prohibition on factions passed at the Tenth Congress of the Russian Communist Party. It was simply that he planned to keep the leadership of the Moscow group for himself rather than share it with Luo Yinong. In Moscow Luo played first fiddle and Peng second. On the surface they cooperated well together, but I’d already noticed that they had by no means completely merged. Luo invented for Peng the nickname Confucius, which caught on and still sticks. The nickname was meant to imply that Peng was a book-worm, that he’d read a lot, that he knew lots of theory, but that he was no good at doing things. Peng hated his nickname so we never used it to his face, but we did use it behind his back. Peng saw himself as China’s Lenin, but in Moscow he had to yield to Luo. Back in China, where he was elected onto the Central Committee at the Fourth Congress, he joined the Presidium (later called the Standing Committee) and simultaneously ran the Propaganda Department. By then Peng’s position was higher than Luo’s. Luo was simply a cadre awaiting assignment. How did Peng manage to force Luo to share the leadership of the Moscow people? After their bedside talk, Peng decided to enter Baolong Hospital and arranged for Luo to move into the Propaganda Department building, where Luo slept on Peng’s bed. Before going to the hospital Peng told me to lock his desk-drawer and not to let Luo rummage in it. I was surprised, but I did as he said. Later, on account of Chen Bilan 423, Luo and Peng became enemies and stayed so. But that has nothing to do with what I’m now discussing, so let’s stop talking about it. As far as I remember Luo and Peng didn’t mention Chen Duxiu in their bedside talk. But they didn’t need to. In Moscow, if we were discussing the Central Committee of the CCP or the Party leadership, we had only Chen Duxiu in mind. Li Dazhao followed Chen in everything. We never mentioned the names Zhang Guotao, Qu Qiubai, Cai Hesen, or Tang Pingshan. In those days the leader cult had started up in the Soviet Union and the Soviet Central Committee was instilling it into the Party membership and the people. We worshipped Lenin as the supreme leader of the Soviet Republic – and in China we worshipped Chen Duxiu. But in Moscow the cult of Chen Duxiu meant something other to Peng and Luo than to the rest of us. Peng in Moscow saw himself as the Chinese Lenin, but he had to yield to Luo. Back in China in the autumn of 1924, he sneaked his way above Luo, but he still had to yield to Chen Duxiu. The only reason he clasped Chen’s leg was so that one day he could replace him. There were five members of the Standing Committee (or Presidium) after the Fourth Congress, namely Chen Duxiu, Cai Hesen, Zhang Guotao, Qu Qiubai, and Peng Shuzhi. At around the time of National Day 424 in 1925 after Cai had gone to Moscow to represent the CCP at the Comintern right up to the time when the Central Committee moved to Wuhan, it only had four members. I often sat in on its meetings. I used to hate Peng’s performance at them. Almost every time he would first wait for Chen Duxiu to say what he thought and then-at great length and with much pedantry-supply additional arguments to back Chen up. He used to speak at great length but no depth, so that the others in attendance became impatient at the loss of time, though Peng himself did not notice this. I must have betrayed my irritation and contempt, for Qu Qiubai – who was extremely sensitive – noticed it and told Jiang Guangchi. Jiang wrote it up in his novel Des sans-culottes 425 where I make a shadowy appearance. Needless to say, on several occasions at these meetings Peng expressed opinions that differed from those of Chen. He boasted to me once that at the meetings Qu Qiubai and Zhang Guotao used slavishly to follow the “Old Man’s” lead, and that only he Peng dared face up to Chen. “Qiubai is simply a higher technician,” he said. “Guotao is simply a higher administrator.” What he meant was that only he, Peng, was a “higher politician”, i.e., a politician of higher quality. We Moscow people, later to become followers of Chen Duxiu, were early on against Peng: we didn’t wait until after the Fifth Congress to chime in with Qu Qiubai against him. Wang Ruofei, Chen Qiaonian, Ren Xu, He Zishen, and others all despised Peng Shuzhi. Perhaps Chen Yannian’s opposition to Peng was a result of Borodin’s influence. Luo Yinong had personal reasons to be against Peng. Ren Bishi and Xiao Zizhang, who worked for the Youth League, were probably swayed by Qu Qiubai and the Youth International, but that’s another matter. We were opposed to Peng the man, not the “theory of national revolution” he brought back from Moscow; and even less did we oppose Peng as a cover for attacking Chen Duxiu. Naturally, a minority, like Wang Zekai and Liu Bozhuang, supported Peng all along. After the Fourth Congress, the development of the Chinese Revolution was accompanied by splits in the Moscow group. Luo and Peng’s plan was to use us as a central force with which to take over the entire Party, but as the Party grew the Moscow group – contrary to general expectations – split apart and was defeated and destroyed. The first people to split away were those in the group under Chen Yannian. Chen Yannian (Secretary of the Southern Regional Committee), Mu Qing (head of the Organisational Bureau), and Huang Guozuo (alias Huang Ping, head of the Propaganda Bureau) had all returned from Moscow, where they had studied and supported the “theory of national revolution”. But not long after Chen Yannian and others began working in Guangzhou, they became involved in the struggle between Borodin and Chen Duxiu, supporting the former against the latter. Borodin was a senior adviser to the National Government; perhaps he also represented the Comintern. Whatever the case, he meddled in the affairs of the CCP. He directly led the Party’s Southern Committee regardless of the opinion of the Central Committee of the CCP and did his best to control Party work – at least where the “national revolutionary movement” was concerned – across the whole of China. In so doing he encroached on the competencies of the official Comintern representative, Voitinsky. Before Chen Yannian took up his post in Guangzhou, in the summer of 1924, Borodin instigated Qu Qiubai (then staying in Guangzhou) to deal with the Guomindang in the name of the CCP, but many of Qu’s speeches and actions did not tally with the Central Committee’s position. Chen Duxiu and Cai Hesen in Shanghai were very angry about this, and in the name of the Central Committee ordered Qu to leave Guangzhou and return to Shanghai, which he did, leaving scars on his mind. Chen Yannian went to Guangzhou in the autumn, whereupon Borodin instigated Chen Yannian instead, regardless of whether the actions he encouraged Chen to undertake accorded with the wishes of the Central Committee. I know little about the struggle between Borodin and the Central Committee in Shanghai, for the issues in it were never publicly aired. All I know is that on one occasion when Chen Yannian came to Shanghai to deliver a report to the Central Committee, he stayed at my place and told me that Borodin had told him that the Central Committee in Shanghai only knew the slogan “Workers of the world, unite!” What Borodin meant was that the Central Committee in Shanghai only knew how to mouth principles, and was incapable of flexibly applying them. But Chen Yannian didn’t say exactly what principles were at stake. Borodin had arrived in China before the Comintern’s Far Eastern Bureau had settled on the “national revolution” formula, with which Voitinsky (who brought the idea to China) instructed the Fourth Congress I’m not saying that Borodin didn’t know about the theory, just chat “politicians” like Borodin put no price whatsoever on principle or theory and were only good at political conspiring. He behaved quite wilfully in Guangzhou, and paid not the slightest attention to the views of either the Shanghai Central Committee or Voitinsky, who was the official Comintern representative in China. Every time Borodin and Chen Duxiu clashed seriously, the Southern comrades led by Chen Yannian backed Borodin. In this way the Moscow people m Southern China set up their own banner under the leadership of Chen Yannian. The second group to split away from the Moscow group were leading members of the Youth League. The Youth League turned against Chen Duxiu much later than the Guangdong cadres. I can’t say for sure when the split began, but it was probably not until 1926. After the Fourth Congress of the CCP, the Youth League also held a Congress and changed its name from Socialist to Communist. At the same time Ren Bishi took over as its General Secretary from Zhang Tailei. The plan stemmed originally from Moscow: Peng Shuzhi, too, knew about and agreed with it. By 1926, the Youth League had gradually turned against Chen Duxiu, chiefly under the influence of the internal struggle in the Soviet Party. The Soviet Youth League (or Konsomol) did not agree with the Comintern’s China policy and was especially opposed to Voitinsky, the official Comintern representative m China. According to Konsomol leaders, Voitinsky was an “opportunist” and a “rightist”. I don’t know too clearly on what actual issues they opposed him. In 1923, the Trotsky opposition incited the Konsomol against the leading triumvirate in the Soviet Party, namely Zinoviev, Kamenev, and Stalin. But Trotsky was overthrown and the Konsomol, too, was purged. By 1926, It was apparently no longer in a position to oppose from a Trotskyist point of view the China policy of the Central Committee of the Soviet Communist Party and of the Comintern. But it’s a fact that the Konsomol leaders opposed Voitinsky and through him Chen Duxiu, who was supposedly under his influence. After the controversy in the Chinese leadership about the Northern Expedition, Qu Qiubai joined the Konsomol in opposing Chen. Qu Qiubai and Zhang Guotao both supported Chiang Kai-shek’s Northern Expedition. Zhang was a well-known schemer and intriguer, but even so his skills as such fell short of Qu’s. At the Central Committee meeting where the Northern Expedition was discussed, Zhang clashed frontally with Chen Duxiu but Qu – who supported the Northern Expedition no less than Zhang – pretended to comply with Chen. From then on, Qu plotted against Chen from behind the scenes. Whether Zhang did, too, I don’t know, but I do know that Qu Qiubai did. In the second half of 1926, he said he was ill and stopped attending Central Committee meetings or working for the Party. Wang Ruofei, head of the Central Committee’s Secretariat, early on became aware of what was happening. One morning in late autumn, while I was still asleep, he came to drag me from my lair and take me to Ximen Road where Qu lived. As we entered the upstairs room, Qu was sitting squarely at his desk working on an article. When he saw us he seemed a bit embarrassed. We exchanged a few words with him and then left. On the way back neither of us said anything about the incident, nor did we need to. It turned out that Qu wasn’t ill but was working hard on an article that he didn’t want anyone else to know about. It remained a mystery until the spring of 1927 in Wuhan, when it became clear that he had been writing up his pamphlet Against Peng Shuzhi-ism. Apart from that he had been inciting people against Chen Duxiu. These people included Ren Bishi and Xiao Zizhang, who had resumed from Moscow to work in the Youth League, and others like He Chang and Lu Dingyi who had never been in Moscow. All this happened behind the backs of Chen Duxiu and Peng Shuzhi. Qu never argued his positions openly at a meeting of the Central Committee. There must also have been a third group of Chen Duxiu supporters who fumed against Chen because of mistakes they detected in the way the leadership conducted actual struggles, but I can’t say exactly who they were. Those of us who continued to support Chen learned early on to despise Peng Shuzhi as mean, dull-witted, vain, and unable to work together with other people. I wasn’t the only one who thought like this. So did Wang Ruofei, Chen Qiaonian, Zhao Shiyan, and above all Luo Yinong. Whenever Peng’s name came up, none of us liked to continue talking. But we all clearly distinguished between Peng and Chen Duxiu; we thought it was unseemly the way Peng always clung to Chen’s leg. The struggle against Chen broke out at the Fifth Congress. After Wuhan had fallen to the Northern Expedition, many senior officials of the CCP began to congregate there. People like Zhang Guotao, Tan Pingshan, Zhang Tailei, Li Lisan, Liu Shaoqi, Mao Zedong, Qu Qiubai, Luo Zhanglong, and Cai Hesen all went there. I can’t say exactly when each arrived, or from where. All I remember is that Qu Qiubai left Shanghai for Wuhan after the defeat of the second Shanghai insurrection in February 1927. Chen Duxiu and Peng Shuzhi, who were on the Standing Affairs Committee, stayed in Shanghai. Chen was still the Party’s General Secretary, but Qu Qiubai, Zhang Guotao, and Tan Pingshan re-established the Central Committee in Wuhan and started issuing directives. 427 For a while there were two Central Committees: the one in Wuhan lacked a General Secretary, but it dealt with the Central Committee of the Guomindang in the name of the Central Committee of the CCP; Chen Duxiu, acting on behalf of the Central Committee in Shanghai issued a joint declaration with Wang Jingwei, who had just got back from Moscow. It was not until just before April 12, 1927, at around the time of Peng and Chen’s departure for Wuhan, that the Shanghai Central Committee went out of existence. By the time that Chen and Peng arrived in Wuhan, Qu’s pamphlet attacking Peng had already appeared, and so had Mao’s Report on an Investigation of the Hunan Peasant Movement. The mood against right-opportunism had already been manufactured in Wuhan. I delayed leaving Shanghai for Wuhan until late April; when I arrived I went straight to the Central Committee offices to see them. The Central Committee was housed in a three-storey foreign-style building with the guard-room and the canteen on the ground floor, the conference room on the first floor, and the living quarters of Chen Duxiu, Cai Hesen, and Peng Shuzhi on the second floor. After chatting for a bit, we went downstairs to eat. Present were Chen, Peng, Cai, Huang Wenrong, and I. I can’t remember whether Chen Bilan and Li Yichun attended. While we were still eating, Peng mentioned Qu’s pamphlet. He addressed Chen Duxiu, probably with a request for support in a counterattack against Qu, I can’t remember exactly. Cai Hesen merely smiled. Chen said sternly, “You’re you, I’m me.” Chen had no intention of cooperating with Peng in an inner-Party struggle, so Peng had no choice but to fight alone. He stepped up work on his counterblast to Qu. By that time Qu Qiubai, Zhang Guotao, and Tang Pingshan controlled the Central Committee. They used to caucus before it met to harmonize their views. They distributed tasks and chimed in with one another at the meetings, so their views always ended up by winning out. Peng Shuzhi was like a pathetic daughter-in-law-whatever he did, he was in the wrong. 428 Chen Duxiu become a puppet of the Qu-Zhang-Tang troika and implemented its decisions. Needless to say, the members of the troika also harmonized their views in advance with Borodin. The Comintern wanted to replace Chen Duxiu as General Secretary, but soundings showed that his prestige was too high for that to happen easily. What’s more, it was hard to know who to replace him with. At one point the Comintern leaders settled on Tan Pingshan, but Qu and Zhang also considered themselves in contention for the post. Chen Yannian’s name came up too, but he refused. Some people said that he was not against replacing Chen Duxiu, but that he simply didn’t want to succeed him personally. So at the Fifth Congress the Comintern representative and the Qu-Zhang-Tan troika adopted the tactic of isolating Chen: they kept him on, but they got rid of all those who supported him. On the day the Congress opened, Luo Zhanglong, head of the Hubei delegation, proposed a slate of names for the Congress Presidium. Chen was on it, but none of his associates was. On the final day of the Congress, when the elections for the Central Committee were about to take place, this Presidium put forward another slate that like the first one had Chen Duxiu on it but none of his supporters. After the slate had been put forward, Roy stood up in the name of the Comintern and proposed adding the names of Peng Shuzhi and Luo Yinong to it. Congress agreed, but afterwards the new Central Committee immediately sent Peng to Beijing, Luo Yinong to Jiangxi, Wang Ruofei to Shanghai, Yin Kuan to Guangdong, and me to Hubei. In short, we were not allowed to remain on the Central Committee. The only exception was Chen Qiaonian, who became Secretary of the Central Committee’s Organisational Bureau. By the way, here’s an interesting anecdote. Although Li Weihan wasn’t among those people who had been in Moscow, like them he had in the past supported Chen Duxiu. During the Congress he at one point told Wang Ruofei that the other leaders were applying the trick known as “removing the emperor’s entourage”. It was not difficult for him to see what was really going on during the inner-Party struggle. I got this by hearsay, from Wang Ruofei. But after the Congress, Li resolutely opposed Chen. By then the “Moscow group” was no longer in existence. There were people who had returned from Moscow but there was no “Moscow group”. Those who stuck by Chen Duxiu, whether or not they’d been in Moscow, were known as the “Chen Duxiu group”. Perhaps the August 7 Conference formally removed Chen from his post? No, it didn’t. I was at the August 7 Conference. I heard Qu Qiubai read out the Letter to Comrades and I heard other people deliver speeches. They all criticized past opportunist errors. Doubtless their criticisms were aimed at Chen Duxiu, but from start to finish no one at the Conference so much as mentioned his name, let alone resolved to sack him. The recently published collection of essays by Cai Hesen 430 includes a transcript of his speech to the Conference. In it he declares his support for the new line and criticizes the old opportunist line, but he, too, fails to mention the name Chen Duxiu. In the two months or more between the Fifth Congress and the August 7 Conference, the balance of power on the Central Committee changed greatly. The Qu-Zhang-Tan alliance had already come apart. Qu Qiubai now occupied the leading role, Zhang and Tan had marched South with the Ye-He army, Borodin had gone back to Russia, Roy and Voitinsky had resigned, and the “prodigy” Lominadze had arrived in China to replace them. Even more remarkably, the ex-Chen Duxiu-ite Luo Yinong, who had been transferred from his old post as Provincial Secretary in Jiangxi to do the same job in Hubei, rose on the eve of the August 7 Conference to become a member of the all-powerful Standing Committee 431 while simultaneously retaining his Hubei post. Luo was extremely capable, and in such critical times his support could hardly be dispensed with. But this is only an apparent explanation. I later heard that Luo had written to Zhang Guotao from Jiangxi saying that he would no longer back Chen Duxiu but would carry out the line of the Fifth Congress. This is hearsay and I have not yet been able to confirm it, let alone to see the letter. But I tend to think that it is the true reason for his sudden rise. Luo Yinong lacked followers and in Shanghai he relied on the Chen Duxiu people. 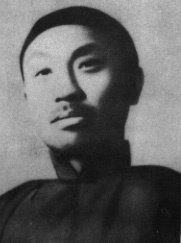 While he was Secretary in Hubei both Liu Bojian (the head of his Organisational Bureau) and Zheng Chaolin (who continued to run his Propaganda Department) were Chen Duxiu supporters; Ren Xu, the head of his Peasant Department, who had worked in Mao Zedong’s Peasant Training Institute in Guangzhou, also became a Chen Duxiu-ite shortly after his transfer to Hubei. About one week after the August 7 Conference the Central Committee replaced Liu Bojian in Hubei with Chen Qiaonian and Zheng Chaolin with Hua Lin (also a Chen Duxiu supporter). Zheng Chaolin was switched back to the Central Committee, where he was assigned to revive the publication of Guide Weekly, which had been suspended for a long time. Just imagine: at around the time of the Fifth Congress the Central Committee did everything in its power to exclude followers of Chen Duxiu, but after the August 7 Conference they had to be allowed back onto the same body that had campaigned against them. But it’s not really so surprising. Chen Duxiu himself was no longer a member of the Central Committee, and Luo Yinong was no longer a Chen Duxiu-ite but a semi-Chen Duxiuite. Luo had no following, nor did Qu Qiubai; of the three members of the Standing Committee, only Li Weihan had a “following” that had escaped with him to Wuhan from Hunan, but the Central Committee could not be kept going exclusively by Hunanese. For example, they couldn’t revive Guide Weekly. In July Zhang Guotao had proposed getting Shen Yanbing to revive it, but Shen had a family to support. After the August 7 Conference it occurred to them that I could do it, for I was still a bachelor; what’s more, I had experience in publishing. So they brought me back to work in the Central Committee. In late September, when the Central Committee transferred back to Shanghai, I was formally appointed editor of the Party journal. In Shanghai the Central Committee had originally appointed Deng Zhongxia as Secretary of the Jiangsu Provincial Committee, but the cadres of the Committee were Chen Duxiu supporters who ignored Deng and listened only to Wang Ruofei. “I’m only Deputy Secretary!” Deng complained to the Central Committee shortly after its transfer to Shanghai. What he meant was that real power in the Provincial Committee belonged to Wang Ruofei. Not long after that, he left the Jiangsu Provincial Committee. Yin Kuan in Guangdong was unable to cooperate with Zhang Tailei, so he returned to Shanghai; the Central Committee made him Provincial Secretary in Anhui. He Zishen ran the Hunan Provincial Committee’s Organisation Department and became its Secretary after Mao Zedong went up the mountains. The Hubei Committee was made up exclusively of Chen Duxiu supporters. In Beijing Peng Shuzhi took the post vacated by the death of Li Dazhao. And so on, and so forth. Wang Ruofei worked out a plan to get Chen Duxiu back onto the Central Committee, but nothing came of it. The first obstacle was the Comintern. It was precisely the Comintern, precisely Stalin, that forced Chen Duxiu to “throw away his official’s hat” in early July, 1927; Chen had no choice but to resign as General Secretary (or, as Cai Hesen put it, to “stop attending to his duties”). So the Comintern wouldn’t have let Chen Duxiu return as General Secretary. In the summer of 1927, the Chen Duxiu people could never have been defeated in the inner-Party struggle but for the intervention of the Comintern. The second obstacle was the Guomindang’s White terror, as a result of which Chen Qiaonian and Luo Yinong had been seized and martyred. Luo was a “semi-Chen Duxiu-ite” who at the time was sitting on the fence. If conditions had been right, he might have approved of Chen Duxiu’s return to power and backed him from his position on the Standing Committee as Director of the Organisation Bureau. The third obstacle was Chen Duxiu himself He was completely passive, and had no wish to take up work again after having just given it up. Lots of people went to talk with him, but as soon as politics came up he’d change the subject. For example, when Luo Qiyuan tried to discuss inner-Party matters with him, he took out his scheme for spelling Chinese characters and started asking Luo how you said this character or that character in Cantonese. He later said that at the time he had been pondering basic questions in the Chinese Revolution, including how much responsibility he himself should take for the defeat. He weighed the issues over a long period of time, but was unable to resolve them. On occasions he raised criticisms of various policies then being pursued by the Central Committee. He recorded them in letters, but needless to say the Central Committee was not prepared to accept them. 432 He knew that Wang Ruofei and Chen Qiaonian were working hard on his behalf, but he did nothing to encourage them, nor did he forbid them to do what they were doing. Some people thought that he was only pretending to be passive, and that he was secretly masterminding Wang and Chen’s campaign. I disagree, but 1, too, find it hard to explain why Chen had become so passive. Facts show that he could again become active once he had finished pondering the issues. In the second half of 1929, he was helped to do so by Trotsky’s articles. He then came out resolutely against Stalin, against the Communist International, and against the Central Committee of the CCP. In the face of these three obstacles, the Chen Duxiu-ites under the leadership of Wang Ruofei were doomed to failure. The Central Committee elected by the August 7 Conference moved back very respectful toward Chen Duxiu. Two or three days after arriving in Shanghai, Qu went to visit him; his attitude toward him was the same as it had ever been. I don’t know what they talked about. At that time Huang Wenrong was still living in Chen’s house as his private secretary; he, too, didn’t tell me what they talked about. All I know is that Chen handed Huang back to the Central Committee, and Qu accepted him. A few days after that Luo Yinong also went to visit Chen; needless to say, he, too, behaved respectfully. Chen got Huang to make a record of his conversation with Luo, but I haven’t seen it. Not long after that, Huang was assigned to help me set up the editorial office of the Central Committee organ. In late December Luo Yinong came and asked me to invite Chen to stay in my house (i.e., in the editorial office) for three days so that he and Qu could have a discussion with the Old Man. On December 24, Huang hired a car to bring Chen over. Chen slept in Huang’s room. That evening I organized a dinner for to Shanghai in late September. Qu Qiubai and Luo Yinong were still Chen, Qu, Luo, Wang Ruofei, and some other guests. The next day Qu and Luo had their talk with Chen. I had some private business, so I did not attend. On the fourth day Huang took Chen back home. One day while we were chatting, Qu told me that the Old Man had said that if we had decided earlier to quit the Guomindang and carry out land revolution, he would have acted on the decision. Qu went on to express strong opposition to Chen’s statement. I seem to remember that he asked me what I thought, but I said nothing. The Standing Committee appointed Qu Qiubai, Luo Yinong, Deng Zhongxia, Wang Ruofei, and Zheng Chaolin to the editorial board of the Central Committee organ, with Qu Qiubai as chairman. I only recently saw the document, dated October 12, 1927, in which this decision was recorded. I’d always thought that I was editor and Qu was the bridge between us and the Standing Committee, that he represented the Standing Committee on the editorial board and told us what it thought and told it what we were doing. Clearly I remembered wrong. There’s no mistake about the document. I must have known about it, but I’d completely forgotten. The editorial board was a fiction, it never met even once. Qu and Luo represented the Central Committee, Deng and Wang represented the Jiangsu Provincial Committee, and I did the actual work. Shortly after his appointment Deng left the Jiangsu Provincial Committee. He never once came to my house. Luo and Wang often used to come, but not for the editorial board. The new organ no longer used the name Guide Weekly but called itself Bolshevik. I wrote an article for the founding issue titled What Next for the Chinese Revolution after the Betrayal of the Revolution by the Guomindang? The article concluded that the revolution had already been defeated, and that we would have to start again. After it came out, no one discussed it with me, but I myself discovered that my own viewpoint directly contradicted that of the Central Committee, i.e., of the Comintern. It turned out that the Central Committee, i.e., the Comintern, not only did not recognize that the Chinese Revolution had already been defeated but concluded that it was still in spate, and that the tide had risen even further. I delivered myself a private warning: in future write fewer articles on policy. No one pointed, out that my article ran counter to the Comintern line, and no one even noticed that it did. Wang Ruofei – not because he had noticed the article, but simply in the course of an idle conversation – once told me that he’d gone to see the Old Man with He Zishen and the Old Man said: Look, the British, US, and French troops stationed in Shanghai are withdrawing in batches, do you think that the imperialists would do that if the tide of the Chinese Revolution were still rising? Wang told me that it was as if Chen’s comment had suddenly jolted him awake. I thought to myself, so the Old Man thinks the same as me, that the Chinese Revolution has already been defeated. I invariably asked Qu Qiubai to write the Bolshevik editorials, for as a member of the Standing Committee he was familiar with Party policy. But for some reason he was too busy to attend the editorial conference that planned Bolshevik No.11, so the task devolved on me. The Guangzhou Insurrection had just ended, so I called my editorial Long Live Soviet Power. I said in it that China had only two possible futures: either a “Great Dragon Empire” under the dictatorship of the warlord Zhang Zuolin and a Guomindang Republic under the dictatorship of the bourgeoisie, or a Soviet Republic under the dictatorship of the proletariat. There was no third way. The editorial got me into a lot of trouble. About a fortnight after it came out, at a meeting of the editorial board, Qu Qiubai reported that according to Li Weihan speaking at a meeting of the Standing Committee, Zheng Chaolin’s editorial was at odds with Comintern policy; our slogan was “workers and peasants’ democratic dictatorship”, not “dictatorship of the proletariat”. So Qu wrote an editorial for Bolshevik No.14 rectifying my mistake. He energetically explained that the Soviets set up during the Guangzhou Insurrection were a “workers and peasants’ democratic dictatorship”, not a “proletarian dictatorship”. After that I stopped writing editorials, and I generally did my best to write as little as possible. But my heresy as yet found no echo in the views of Chen Duxiu. Quite the contrary. Later, after we came into contact with Trotsky’s writings, I immediately agreed with Trotsky’s views on the nature of the future Chinese revolutionary state, but Chen Duxiu stood out against Trotsky on this point for quite some time. The Three People’s Principles are a muddle. The Five Rights 434 are a mess. Education that conforms to Party propaganda is tyranny. Under military rule, only warlords have a say. In the period of tutelage, the bureaucrats hold sway. Later, I can’t remember when, he stopped writing Inch of Iron, and the verses stopped even earlier. I never learned what he thought of the various issues of Bolshevik that came out. In the first six months after the move to Shanghai, three people were very friendly to me: Qu Qiubai, Luo Yinong, and Wang Ruofei. All of them wanted to win me over, but I kept a certain distance from them. I knew about Wang Ruofei and Chen Qiaonian’s campaign, but I took no part in it. Wang never tried to force me to join them. He knew I’d never gang up with anyone against Chen Duxiu. Not long after the Central Committee elected by the Sixth Congress had returned to Shanghai from the Soviet Union and started work, Wang Maoting, Secretary of the Yunnan Provincial Committee, came to see me on his way back from Moscow and handed me a letter written in invisible ink. Wang Ruofei had asked him in Moscow to give it to me and to tell me how to make the characters appear. I got the two necessary chemicals and mixed them according to Wang Maoting’s prescription. I made the characters appear and handed the letter to Chen Duxiu, for it was addressed to him. Wang Ruofei had asked the Central Committee to pass the letter on to Chen Duxiu through ordinary channels, but knowing that that would not happen, he had made an invisible copy of it and asked Wang Maoting to deliver it into my hands. All I remember about the letter is that it reported on the proceedings of the Sixth Congress and Wang Ruofei’s own reactions to it, and that it mentioned Qu Qiubai’s Zero International and Cai Hesen’s History of Opportunism, both of which it called “shameful documents”. Wang Ruofei told Wang Maoting to ask me to send him Chen’s reply written in the same invisible ink. I was prepared to do so, but after Chen had read the letter his face registered not the slightest reaction, and he did not reply. The reason I recount this incident IS because it shows that Wang Ruofei trusted me completely, and it also shows that at that time Chen Duxiu was still not prepared to take an active part in the struggle. In September 1928, the Central Committee elected by the Sixth Congress took up its official duties in Shanghai. The General Secretary Xiang Zhongfa was a puppet: real power was in the hands of Cai Hesen, who ran the Propaganda Department. According to reports, before returning to China Cai had asked Qu Qiubai who should edit Bolshevik. Qu recommended that I be kept on to do so. I worked under Cai just as I had previously worked under Qu, but I got on with him less well than I had with Qu, though we still managed to push our way forward. That didn’t last for long, however. Very soon Cai was toppled and replaced by Li Lisan. I was even less happy about working together with Li Lisan, for he was openly opposed to Chen Duxiu and knew I was a Chen supporter. We not only got on badly: we were downright hostile to one another. There were several instances of friction between us. At a meeting of the editorial board I asked Li to find someone more suited to the job. To my face he refused to let me go, but behind my back he sought the opinion of Qu Qiubai, then in Moscow. Qu decided to send Wu Jiyan back to replace me. As an interim measure Li appointed Pan Wenyu, who had already got back from Russia, to take over from me. So I quit work and lived idly. Chen Duxiu told Peng Shuzhi that if Qu Qiubai had been on the Central Committee in Shanghai, Zheng Chaolin would never have ended up in such a way. While Li Lisan held power, that was exactly how followers of Chen were dealt with. Sharing my idleness were Yin Kuan, who resigned as Provincial Secretary in Anhui; Peng Shuzhi, who resigned as Provincial Secretary in Zhili; 436 Wang Zekai, who’d been active together with Wang Ruofei at the Sixth Congress and had been kept out of a job by the Central Committee Liu Bojian, who had escaped from Hubei, where he had been Provincial Secretary, to Shanghai, but was kept idle by the Central Committee; and Ren Xu, who was in the same boat as Wang Zekai. I and Jing moved out of the Central Committee office and went to stay with Cai Zhende. Zhang Yisen, the wife of He Zishen, was living in the small room with her baby daughter, not yet weaned. He Zishen himself had been sent to Shandong on Party business, though the Central Committee had at the same time warned the Provincial Committee in Shandong not to ask him to do any “political work.” Not long afterwards something went wrong in the Provincial Committee and He Zishen was arrested and thrown in prison. Cai Zhende was at that time a member of the Jiangsu Provincial Committee. Starting with the Jiangsu-Zhejiang Regional Committee, most cadre members of the committees at all the different levels in Shanghai were Chen Duxiu supporters. After the Sixth Congress, when Wang Ruofei was detained in Moscow, Li Fuchun took over from him as Secretary of the Provincial Committee in Jiangsu and his followers were gradually replaced by Li’s friends; the only two to survive were Cai Zhende and Ma Yufu. In early 1929, the Jiangsu Provincial Committee and the Central Committee clashed. There was a struggle, and the Jiangsu Committee even declared its “independence”. I forget what the conflict was about, but it was personal rather than political. Li Lisan and Xiang Ying on the Politburo had both worked in the labour movement. In 1924, when I had first got back to China, Li was in charge of the labour movement in West Shanghai and Xiang in East Shanghai. They vied with one another to see who could achieve most. Li Lisan won, and became leader of the Shanghai General Labour Union. At some point, ill will grew up between them. By this time after the Sixth Congress, Xiang was on the Politburo but his power and status were below Li’s. I seem to remember that after the Sixth Congress Xiang Ying at first took over as Provincial Secretary in Jiangsu and it was not until later that Li Fuchun got that job. Xiang Ying incited Li Fuchun and the Jiangsu Provincial Committee against Li Lisan. He Mengxiong, head of the Organisational Department of the Provincial Committee in Jiangsu, also joined in the campaign. They asked Cai Zhende and Ma Yufu to see if Chen Duxiu was willing to help them. They especially needed help on the propaganda side, for they lacked people who could write. He Mengxiong said: get Zheng Chaolin. Cai Zhende heard him say this, and told me. Li Fuchun came personally to visit me. At that time I was living in the house of Li Minzhi. Li Fuchun told me about the conflict and said he hoped that I would help the Jiangsu Committee. I said I would. But he added that later he wanted me to take over as head of the Propaganda Department on the Jiangsu Provincial Committee. I took unkindly to that, and did not respond. During those days we Chen Duxiu supporters (Peng Shuzhi, Liu Bozhuang, Wang Zekai, Zheng Chaolin, Cai Zhende, and Ma Yufu) gathered at Cai Zhende’s place to hear Cai’s report on the conflict and to draft some necessary documents. In the end, the Jiangsu Committee lost its struggle after Zhou Enlai took measures against it. He called together comrades from all over China then in Shanghai for a meeting that passed a resolution reproaching the Jiangsu Committee in the name of the entire Party throughout China; at the same time the Politburo met and a majority jointly attacked Xiang Ying. So Xiang and Li Fuchun had no choice but to abandon their positions. The Jiangsu Committee was reformed, whereupon Cai Zhende and Ma Yufu, the two Chen Duxiu supporters who were Wang Ruofei’s friends on the Committee, withdrew from it. During this conflict Chen Duxiu neither egged us on nor held us back. It is especially noteworthy that this time there was no choice but to allow Peng Shuzhi to join in the campaign. A year earlier, when Wang Ruofei and Chen Qiaonian were campaigning on behalf of Chen Duxiu, there was no question of letting Peng join them, and even less of letting him lead them. But now Chen Qiaonian was dead and Wang Ruofei was under detention in Moscow. Cai Zhende, Ma Yufu, and Zheng Chaolin despised Peng, but Wang Zekai and Liu Bojian supported him, so we had little choice but to let him join our campaign. After Cai Zhende and Ma Yufu had withdrawn from the Jiangsu Provincial Committee, the Committee continued to provide for their livelihood and let Cai live in one of the furnished houses at the disposal of the Committee. Cai invited me and Jing to go and live with him. We moved there in mid February. Cai Zhende and his wife lived on the first floor of a three-storey building and Jing and I lived on the top floor. He Zishen’s wife Zhang Yisen lived in the smallest room with her newborn daughter. Ma Yufu often used to drop in for a chat. After the defeat of the Jiangsu Committee, the Chen Duxiu supporters’ campaign against the Central Committee was exposed. Why were we against the Central Committee? From my own point of view there were four main reasons. First, the reproaches made at and after the August 7 Conference against the Central Committee represented by Chen Duxiu were unfair. The defeat of the revolution wasn’t Chen’s fault. Chen was simply carrying out the line of the Fourth Congress. Second, after the defeat had happened the August 7 Conference denied it and claimed that the revolution was on the crest of an even higher wave, so the Central Committee called for insurrections and many lost their lives in vain in armed risings, without benefiting the revolution in the slightest. Third, there was no democracy in the Party, and senior cadres were split into numerous unprincipled warring cliques pursuing private ends. Fourth, the Party’s various leaders were not acting in an upright way: they were base in character and morals. And so on, and so forth. Perhaps the other Chen Duxiu supporters saw things differently. In short, the issues we raised in the course of this struggle were all quite narrow and rarely touched on points of high principle. It’s a fact that we failed to grasp those fundamental questions of the revolution; save for Chen Duxiu, we knew very little about the reality of China. If we’d carried on like that then even if the Central Committee had tolerated us instead of attacking us our little group would soon have vanished. On March 18, less than a month after my wife and I went to live with Cai Zhende, officers of the Guomindang’s Public Security Bureau came to arrest Zhang Yisen and in passing unearthed documents in the rooms of our two families, so we were all taken off to prison. Ma Yufu, who had just happened to drop in at that moment, was also seized. The Military Committee of the Central Committee under Zhou Enlai did everything in its power to rescue us, and some social contacts of mine and Cai Zhende’s helped too, so except for Zhang Yisen, who spent several months in gaol, the rest of us left the Garrison Headquarters’ detention centre at Longhua on April 29. After we’d moved and settled down, Yin Kuan dropped in on us one day. Yin was meant to have visited us on the day we were arrested, but for some reason he hadn’t come, so he’d escaped the misfortune that befell the rest of us. Now he started coming regularly again. Probably in mid or late May 1929, he brought some unusual mimeographed documents for us to see, documents of the Trotskyist Opposition in the Soviet Union. They were poorly translated and poorly mimeographed, but still they were intelligible. Yin Kuan had obviously been affected by them. He excitedly introduced them to us. I can’t remember which documents they were, and whether he brought them separately or in one go, but they immediately gripped me. I had known that there was a fierce struggle going on in the Soviet Party, and that at first the Trotskyist Opposition had opposed the faction in power, consisting of Zinoviev, Kamenev, Bukharin, and Stalin; and that later Zinoviev and Kamenev had somehow allied with the Trotskyist Opposition against Bukharin and Stalin, who in the meantime had taken over. But I didn’t know what the issues were, or even that they extended to the question of the Chinese Revolution. But now I had the documents in my hands. It turned out that Trotsky had publicly pointed out long before the defeat of the revolution that the Comintern’s basic line on the Chinese Revolution was wrong, and that after the defeat of the revolution he had publicly pointed out that Bukharin and Stalin should take the blame for it. It also turned out that Trotsky had pointed out even after the Wuhan debacle that the Chinese Revolution had already been defeated. This was exactly what Chen Duxiu and his followers thought. We immediately embraced Trotsky’s system of thought and steeped ourselves in his writings in order to discover on what grounds he had arrived at these two standpoints. They were not simply derived from his basic theory of “permanent revolution”. He had analysed and quoted a large number of documents, including a copy of the resolution of the Jiangsu Provincial Committee drafted by Wang Ruofei pointing out numerous errors committed by the Central Committee of the CCP. Wang Ruofei had published this document in Moscow and the Trotskyist students there had translated it into Russian for Trotsky. But it was very hard for us to achieve a thorough understanding of Trotsky’s basic theory. In Moscow we (for almost all of us who had now become Chen Duxiu supporters were Moscow people) had studied Marxism and Leninism, but not Trotskyism. We’d known for a long time that Trotsky had a “theory of permanent revolution”, but we had no idea what it said. In the past we’d also applied ourselves to questions like the nature of society, the nature of the revolution, the motive power of the revolution, the object of the revolution, the stages of the revolution, revolutionary strategy and tactics, the revolutionary state, and so on. But we’d studied them one by one, in isolation from one another: we were unable to assemble such a wide range of topics into a single whole, so the more we learned, the more muddled we became. Now, after studying the “theory of permanent revolution”, these topics suddenly sprang to life and became linked together in a coherent system, so they were no longer confusing. After that I dropped the question of who was to blame for the defeat of the revolution and whether the tide was high or low and went on to “indulge myself in abstract thinking”, i.e., to study basic principles and the theoretical aspect of how these various issues hung together. Another issue that attracted my attention while reading Trotsky was his consistent opposition to the CCP’s entry into the Guomindang. In 1922, in France, when the branches of the Communist Youth Party had discussed this question, I’d been against it and got into an argument with Yin Kuan who was for it. As for Peng Shuzhi, in Moscow in 1923, he enthusiastically supported entry. We all quickly embraced Trotskyism. After discussing and exchanging ideas for just a week or two, we basically became Trotskyists. But Chen Duxiu held out for longer than the rest of us. At the same time as Yin Kuan gave Trotsky’s mimeographed articles to us (Cai Zhende and his wife Wang Tahoe Zheng Chaolin and his wife Wu Ginger, and Ma Yufu) to read, he also gave them to Peng Shuzhi and his wife Chen Bilan, to Wang Zekai and his wife Du Lin, and to Liu Bozhuang. The Peng and Wang families lived together in a house on Chunking Road opposite the high wall of Ward Road Gaol where Chen Duxiu often used to visit them. It was there that he read Trotsky’s documents. He discussed them with Peng Shuzhi, Yin Kuan, and Wang Zekai, and they convinced him. I personally did not take part in those discussions. We were not long out of gaol, and Chen Duxiu did not come to visit me in that period, nor did I go to visit him in his new house. Yin Kuan used to pass between my place and Peng’s, so it was mainly from Yin that I heard about the change in Chen’s thinking. After reading each of Trotsky’s documents, Chen would raise a disagreement, and then they would argue with him; but by the next time he came he would have abandoned his previous disagreement and would raise a new one on the shoulders of their old argument. In the course of his gradual conversion to their point of view, he had never once yielded to them in their presence, but next time he came face to face with them he would raise new differences on the basis of what they had previously told him. And so it went on. The person who put the most effort into winning him was Yin Kuan. But in the end, when it came to the question of the revolutionary power (should it be a dictatorship of the proletariat? ), Chen was not persuaded, or at least not wholly persuaded. After Liu Rending came back to China, and even when we and the other three groups were holding talks, Chen still didn’t wholly accept Trotsky’s views on the nature of this power. In the course of this debate Chen not only spoke his views but also wrote them down in articles that he took along with him for Peng, Yin and Wang to read. There were probably seven or eight such articles, all of which I read. None was published or kept, which is a pity, nor was a record made of the discussions. Otherwise we could have used it and the articles to trace the entire process whereby one of China’s major modern thinkers came round to Trotskyism. All this probably happened between the second half of May and the first half of July 1929. The reason I’m paying so much attention to dates and times is in order to dispel some current myths. The most common myth is that Chen was unaware of Trotsky’s views until Liu Rending got back to China with a number of documents written by Trotsky, and that it was only then that Chen came under Trotsky’s influence and became his follower. Actually, by the time that Liu Rending met Chen Duxiu, Chen had already embraced Trotskyism (save for his above mentioned reservations on certain theoretical questions). We followers of Chen Duxiu were by then even more resolutely Trotskyist. Liu Rending reached Shanghai in September. He knew from the Chinese Trotskyist organization that had resumed to China from Moscow – he even knew it while he was still abroad, probably because Trotsky told him – that Chen Duxiu and his followers had already embraced Trotskyism. That’s why he got someone to bring a letter to Yin Kuan and me asking us to visit him in a hostel in the French Concession. We spoke a common Trotskyist language. Later, when I took Liu Rending to my home (on East Youheng Road) to meet Chen Duxiu, they, too, spoke a common Trotskyist language. Liu Rending brought three documents with him back to China: one was the Draft Programme of the Chinese Bolshevik-Leninists, which Trotsky had specially written while Liu was a guest in Trotsky’s house in Turkey; another, called Results and Prospects of the Chinese Revolution, was Trotsky’s criticism of the part relating to the Chinese Revolution in Bukharin’s draft programme for the Communist International; another was an article by Trotsky, titled The Chinese Question after the Sixth Congress, written after the Sixth Congress of the Communist International. The two articles were very long and in Russian, as, too, was the draft programme of the Chinese Opposition. Then there’s Peng Shuzhi’s theory. Peng says that he got hold of Results and Prospects and After the Sixth Congress from some Trotskyist students who had returned from Moscow and showed them to Chen. What actually happened is that Yin Kuan got them from Wang Pingyi, 438 Yin gave them to Peng, and Peng gave them to Chen. Peng deliberately obscured Yin’s link in the chain; what Peng showed Chen was not the two long articles but a number of shorter articles, i.e., those collected in the first volume of the Chinese edition of On the Question of the Chinese Revolution. The two long articles weren’t translated into Chinese until after Liu got back from Europe. The story of how the two volumes were prepared and published is sufficient to refute Peng’s theory. Apart from this there are various other rumours, but what I’ve just said is the truth, and whatever does not accord with it should be rectified. All of us Chen Duxiu-ites became Trotskyists, but our motives, goals, and emphases were by no means identical. Roughly speaking, we were of two main sorts. One stressed the practical movement and recognized that given the defeat of the revolution, we should now conduct peaceful and legal campaigns, deeply enter into the masses, strike roots there, oppose the Central Committee’s ill-omened armed struggle, and wait until the mass movement revived before preparing to take up arms again. Absolutely no one proposed disbanding the underground Party. So the charge of “liquidationism” bandied about by the Comintern and the Central Committee was simply slander. The Liquidators in Russian revolutionary history proposed disbanding the underground Party, for in French liquider means to disband or dissolve. It’s a commercial term. If a company or an enterprise goes bankrupt and closes down, it “goes into liquidation.” The words “liquidate” and “liquidator” entered our language through Japanese. What is it that’s liquidated? The underground Party is liquidated, i.e., disbanded. So if no one proposes disbanding the Party, then it’s wrong to start calling people “liquidators”. Some Trotskyists of this variety opposed discussing theoretical questions concerning the nature of society, the revolution, and the state and wanted to confine discussion to questions concerning practical activity and the practical struggle. The second sort stressed theory; they wanted to discuss basic issues of the revolution. But like the first sort, they were not against practical activity. One of the biggest differences between the Chinese Revolution and the early Russian Revolution was that the Russians had only set up their Party after extensively debating and quarrelling about basic issues of the revolution, and continued to do so even afterwards. So the Russian revolutionaries had already clarified these issues in the course of their revolutionary activity, and they all had their own ways of looking at things. The Chinese Revolution was not like that. There was no clear and wide-ranging theoretical struggle before the founding of the Party, nor afterwards either, when we hurled ourselves into the raging fire. For theory we relied on foreign comrades and the Comintern: we trusted them to solve our problems for us. This may be why the CCP was repeatedly defeated. The emergence of Trotskyism in China might have provided an opportunity for steeling revolutionaries in polemic and increasing their knowledge of theory, but unfortunately by that time the Comintern and the CCP were in the rough grip of Stalinism, so the opportunity was missed and only a handful of revolutionaries got a thorough theoretical training. The intellectual preparation for China’s proletarian revolution was far inferior to that not only of Russia’s proletarian revolution but also of China’s own bourgeois revolution. The polemics waged between reformists and revolutionaries before the Revolution of 1911 shook the whole country, that goes without saying; before the Coup of 1898, there were even violent theoretical disputes between conservatives and reformists, between the Orthodox Confucianists and the Modern Text School. In the course of the polemic, both sides relied on their own resources to resolve the various theoretical issues in dispute, and certainly neither of them looked abroad for help, from organizations or individuals. The proletarian revolution is of course worldwide, unlike the bourgeois revolution, which is contained within national boundaries, so the theoretical struggle on a world scale can more or less be substituted for that in one country; but that by no means dispenses with the need for theoretical struggle within the state where the revolution is occurring. After the tragic and shameful defeat of the Chinese Revolution in 1927 for a while I was really at a loss as to what course of action to follow since I myself bore a heavy responsibility for the defeat. So I spent almost a whole year personally reflecting on those events. Although I did not thoroughly grasp the lessons of the defeat in time, and failed to discover a new way forward, I am deeply aware on the basis of my own experience that this defeat was the inevitable outcome of the entire political line of the past period. Because of your deceiving ways and your blockade on the free passage of information, it was not until half a year ago that some documents by Comrade Trotsky on the Chinese question and some questions relating to the Soviet Union came into our hands. It was only then that we thoroughly and systematically understood the true source of the opportunism and adventurism perpetrated in the course of the Chinese Revolution. At present the main issues concerning the Chinese Revolution are: (1) Will the revolutionary power issuing from the future third revolution be a workers and peasants’ democratic dictatorship or a proletarian dictatorship? (2) Should we now directly prepare an armed insurrection, or should we raise political slogans appropriate to a transitional period in the revolution (e.g. the call for a National Assembly), and struggle for democracy? Trotsky’s writings had a big impact not only on Chen Duxiu but on Communists and revolutionaries the world over. When Trotsky’s Criticism of the Draft Programme of the Comintern was handed over to the Sixth Congress of the Comintern, it was initially kept from delegates; it was only when some delegates demanded to see it that the Comintern, under the control of the Soviet Party, allowed three delegates from each country to read it under the strict injunction to divulge its contents to no one. Many unprejudiced delegates-and even some prejudiced ones-were influenced by Trotsky’s critique and changed their view of the man. According to what someone told me, the Chinese delegation appointed Qu Qiubai, Guan Xiangying, and another person (whose name I forget) to read it. As a result Qu wavered but soon steadied; Guan was even more strongly moved, but he, too, later steadied. As for delegates of other countries, I read in James P. Cannon’s History of American Trotskyism that he and a number of other Americans at the Sixth Congress were swayed by what they read, stole a copy, smuggled it back to the US, and carried out Trotskyist activity inside the US Communist Party. When one of Cannon’s comrades, a militant, heard that Cannon had gone Trotskyist, he travelled from the West Coast all the way to New York to win him back. When Cannon realized what the visit was about, he asked the man to sit down and read the English translation of Trotsky’s Critique for himself. He did so, and stood up beaming. He, too, had become a Trotskyist. Let’s now go from theory to action.